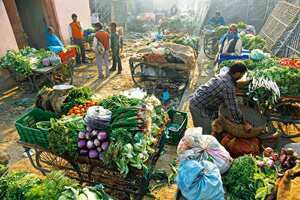 New Delhi: India’s food price index rose 10.60% and the fuel price index climbed 15.17 % in the year to 8 Oct, government data on Thursday showed. In the previous week, annual food and fuel inflation stood at 9.32% and 15.10%, respectively. The primary articles index was up 11.18%, compared with an annual rise of 10.60% a week earlier. Growth in Asia’s third-largest economy will be slower than government projections, finance minister Pranab Mukherjee said on Wednesday, highlighting how high inflation, rising interest rates and global financial turbulence threaten India’s growth momentum. But Mukherjee hinted India may continue to tighten monetary policy, in contrast to most other major emerging economies, to keep stubbornly high inflation in check despite fears of a broader economic slowdown. A jump in fuel and power prices drove the wholesale price index up 9.72% in September versus a year earlier, government data showed last Friday, bracing the market for another possible interest rate rise.